Last Thursday [May 26], officials from the Nevis Island Administration [NIA], including the island’s Premier and Minister of Tourism the Honourable Joseph Parry, assembled at Cades Bay Development to witness the official groundbreaking ceremony for Zenith Nevis Project. The afternoon ceremony commenced on the lawn of the establishment (formerly Inn at Cades Bay,) just steps away from the Sea Bridge pier, and culminated at the Chrishi Beach Club where persons enjoyed refreshments. 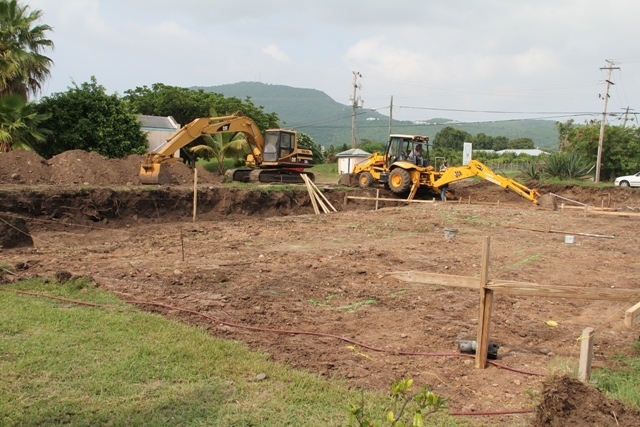 Although brief, the groundbreaking ceremony highlighted the NIA’s commitment towards supporting existing businesses and promoting new business ventures on Nevis. Norwegian investor Mr. Christian Wienpahl, during his remarks, described the Joseph Parry-led NIA as “open and welcoming” as he spoke of the relationship between them. 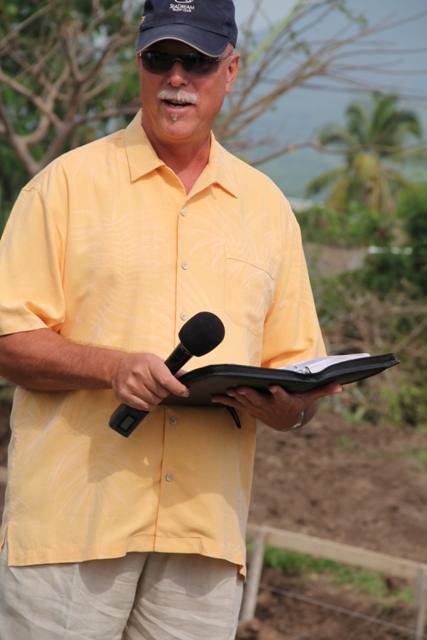 “The Nevis Island Administration has been supportive of this project from day one and we are very thankful for that. There have been many obstacles, so without help from the Premier’s office, the Minister of Finance and the Department of Physical Planning it would’ve been very hard to get the project ready for construction,” Mr. Wienpahl explained. Despite many challenges, the investor expressed the view that the island’s paradise ambiance together with its friendly people would be the driving force behind the return of Nevis’ booming tourism sector. “The good news is that we are seeing that things are about to change and I believe if Nevis focuses hard on tourism it can become one of the most attractive islands in the Caribbean. “We have decided to start our construction of Zenith Nevis because we believe that the tourism will increase in the future. We also believe that we have one of the best locations and that it is the market for smaller beachfront villas with resort amenities,” he said. Zenith Nevis, according to Construction Manager Mr. Woodrow Bryant, would initially house seven units. He said, however, that long-term plans were already being made for additional units to be constructed. 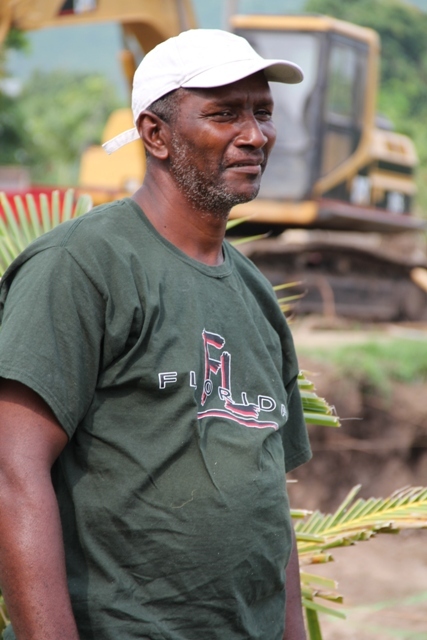 “We’ll be using a lot of local materials, local concrete, steel; all of the wood would be coming locally,” he said, adding that the company had solicited the services of local contractor, Mr. Melvin Hanley. When completed, private Zenith Beach Houses would boast a wide range of amenities including outdoor patios, one or two bedrooms, ocean and mountain views, large entertainment areas, open style kitchen, high-quality appliances, integrated sound system with iPod docking, limestone floors and hurricane rated windows and doors. “Tourism is absolutely important to us and we have tried to maintain a certain standard, a certain level on the island and we continue to do so,” Premier Parry said as he addressed the gathering. 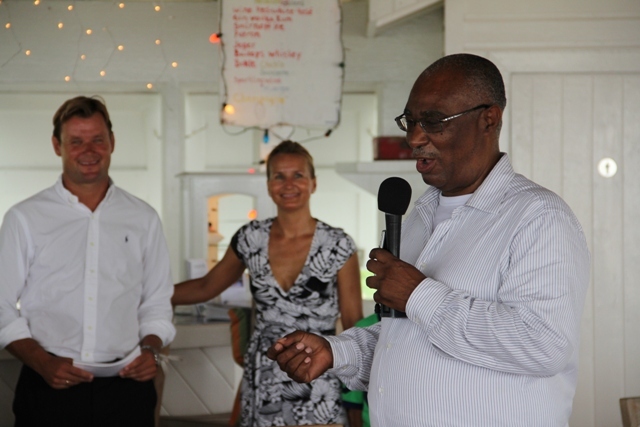 Pleased that Norwegians had decided to invest in Nevis, the Tourism Minister called on others to do the same. “I am pleased to see that there is that kind of confidence in Nevis, even as we are coming out of a steep recession, perhaps the worst recession since 1934, and yet [there is] this confidence in Nevis that we have several private sector persons coming forward and investing. “You can see Christian, I am very happy and I am as pleased as you are. I am pleased that we are doing something good and I am pleased that, with your persistence, you have reached this far. I do hope that others will follow your example and realise that we are all here to build [this] country and we are all here to share in the beauty that Nevis offers for the visitors,” Mr. Parry said. Also present at the ceremony were Tourism Advisor Mr. Alastair Yearwood, Minister of Agriculture, Housing, Lands, Fisheries and Cooperatives the Honourable E. Robelto Hector, Cabinet Secretary Mr. Ashley Farrell, Chief Executive Officer at the Nevis Tourism Authority Mr. John Hanley and Permanent Secretaries Mr. Ernie Stapleton, Mr. Laurie Lawrence and Ms. Angelica Elliott.